Up and down the land there are ordinary people living unexceptional lives. And now and then, a writer suddenly pops up who appears to capture perfectly the quiet, unsung, invisible lives of millions of people. Robert Holman had that quality, so too in recent years Barney Norris. Now add to the store the name of Stewart Pringle, this year’s winner of the Papatango new writing prize. Papatango is just one of a whole swathe of awards now out there helping to encourage and give platforms to hopeful new writers. It bodes well for the continuing ecological health of British theatre and whilst Stewart Pringle’s Trestle, chosen anonymously, emerged from over 1000 entries, he does come with established credentials as an award winning artistic director (of the Old Red Lion in the Off West End awards), co-founder of the London Horror Festival and even a onetime theatre critic. For all that, Trestle is as unassuming but subtly crafted as you could wish for. 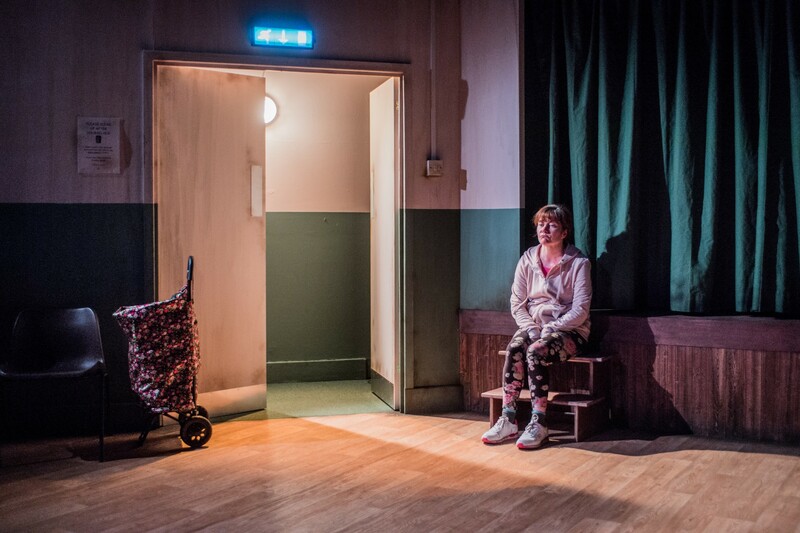 Covering a little of the same ground but with an entirely different set of atmospherics, Barney Norris’s While We’re Here (Bush Theatre, in May) presented a portrait of two stunted lives, disparate personalities, meeting then parting. 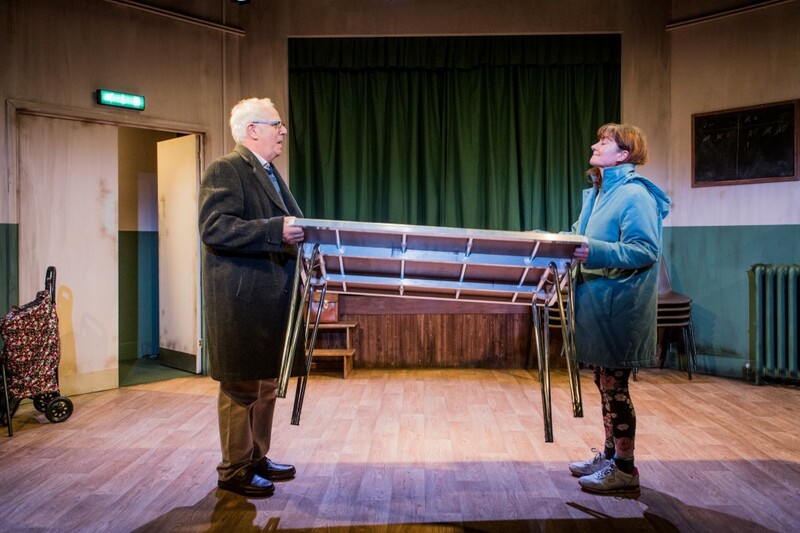 Similarly, Pringle’s Harry and Denise fortuitously keep meeting over the trestle table in the local village hall rented out for evening classes and meetings. Harry is one of the backbone-of-the-community types, a widower keeping himself busy after the death of his wife Claire. Denise runs the zumba class and gradually, the simple proximity of their weekly change-overs starts to bring them together. Pringle writes with extraordinary economy. Set in the North, there’s something of Calendar Girls in its rhythms and colloquialisms, but director Cathal Cleary adds an edginess to Pringle’s short, pithy scenes with a blinding light that inhibits any tendency to sentimentality. 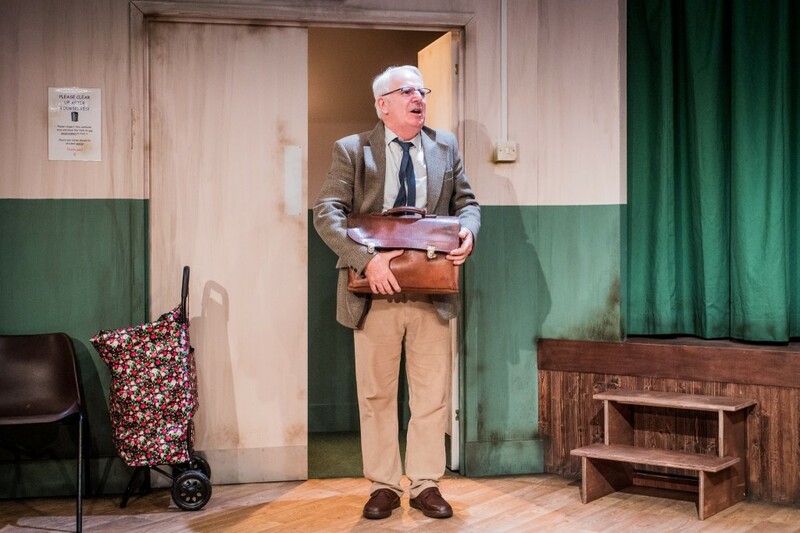 As Harry, Gary Lilburn presents a portrait of dapper caution (a much quieter version of Kenneth Cranham’s gruff pensioner, Alex, in Simon Stephens’ two-hander about ageing and love, Heisenberg: the Uncertainty Principle) whilst Connie Walker’s Denise is in comparison a bundle of pent-up energy. Trestle has none of Heisenberg’s romantic, feel-good denouement. It is rather the story of `what might have been’, of misunderstood signals, of gentle sharings that come to nought with Denise being the more active character. But Pringle keeps a fair balance between them and in passing makes some modest but telling comments about limited horizons and rural attitudes. Unassuming but elegiac in its own way, Trestle is a little cornucopia of small moments that bring people together that tells us much about the search for companionship to stave off loneliness and the importance of never quite giving up. At the end, though going their separate ways, Harry and Denise manage to assemble the trestle table – a source of awkwardness at the beginning – in perfect accord. 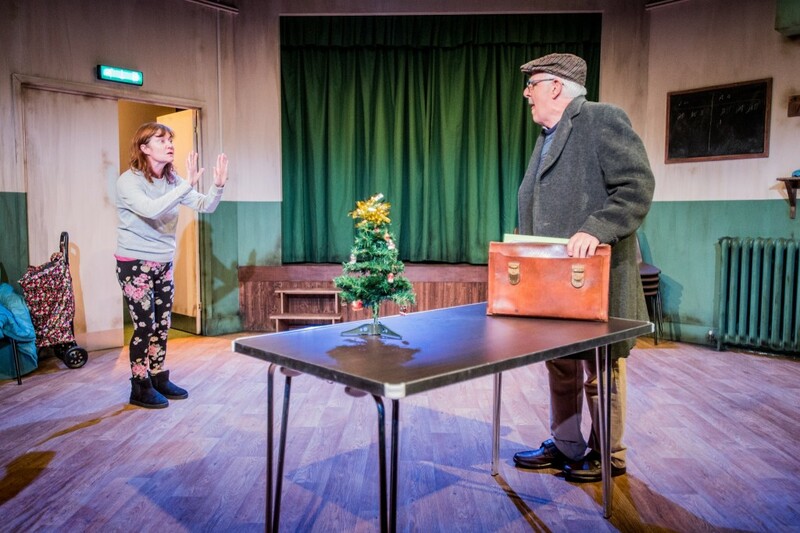 The curtains of the `church hall’ then open to reveal designer Frankie Bradshaw’s rather beautiful, sad scarecrow – a reference to a remark Harry has made about his wife Claire’s creation to keep the birds away from the strawberries and how he’s just left it there to grow even more ragged. Denise takes her coat and places it over the scarecrow, a simple but evocative gesture of sympathy, of care maybe but one that leaves a lasting, haunting impression.